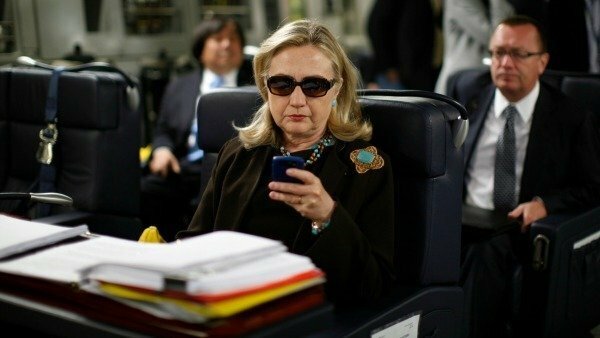 After a House committee issued a subpoena of all emails related to the 2012 Benghazi attacks, Hillary Clinton finally spoke out about her use of a private email address while serving as Secretary of State. “This is so weird, but the Benghazi alert went straight to my spam folder,” tweeted Clinton on Thursday morning. “Maybe I should’ve gone with #nofilter,” she joked in a follow-up tweet. After combing through thousands of emails, investigators found an unopened message dated September 2, 2012 regarding Benghazi, sandwiched between a Viagra scam and a forwarded “Which Mad Men Are You?” quiz. Experts are still not sure exactly how the Benghazi alert ended up in Clinton’s spam folder, but they suspect the email subject “*~*~*~WOW!!! You HAVE to check out this CrAzY Benghazi thing!! !~*~*~*” may be a factor. A spokesperson for Clinton claims she switched to a personal email address because the White House was still using Outlook, which had a “super annoying” archive system. “It’s like, come on, you guys, switch to Gmail already,” he said.